Do you suffer from Migraine headaches that have been debilitating and have caused a decrease in the quality of life for you and your love ones? Have you tried everything, including medications, accupuncture, relaxation and herbal and natural remedies that have all failed? Finally there is an FDA approved treatment that works and lasts and takes only a few minutes to administer and best of all it can be covered by your insurance. Botox or Botulinum Toxin is best known for its used as a wrinkle reducer and a way to slow the progression of aging. It has also been used for excess sweating, muscle spasms in neck and eyes and is being used for a broad number of medical specialties. The great thing is that it can now be used to treat Migraine headaches. For adults with Chronic Migraine—15 or more headache days a month, each lasting 4 hours or more—BOTOX® is the first and only FDA-approved, preventive treatment proven to reduce headache days every month. BOTOX® prevents up to 9 headache days a month (vs up to 7 for placebo). 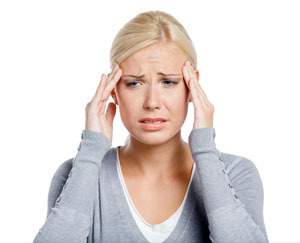 BOTOX® therapy is not approved for adults with migraine who have 14 or fewer headache days a month.